Enhanced with coconut and horsehair felt in its content, the anatomical Nature Polo Coco mattress is an ideal mattress choice with an emphasis on natural materials. In this way, it remains at cool temperatures giving the ability to regulate wetness and provide significant hypoallergenic properties. It also includes cotton and woolen wadding that further enhances its proper behavior against high temperatures. Made of Bonnell springs with metal frame that contribute to its strong hold on surface and edges. Enhanced by its natural features, the Nature Latex Coco Pocket anatomical mattress will provide you with quality and gentle feel every moment you will be on top of it. Its elasticity is enhanced by coconut combined with latex. The presence of both of these materials gives the ability to "breathe" efficiently and to decompress the high temperatures. It is made up of independent Pocket springs with metal frame that follows the movements of the body and keep it stronger around the perimeter. Nature Polo Coco Pocket is synonymous with quality, which signifies every pleasant and gentle sleep in an environment designed to offer naturalness and relaxation. In order to do this, it has horsehair felt and coconut inside it, which have been processed in the most ideal conditions to offer all their natural quality, such as elasticity and the ability to keep the mattress cool. An important help in adjusting the temperature of the mattress is also the addition of wool and cotton wadding. It has independent Pocket springs that provide anatomic and perimeter support. Its purpose is not only to rest your body, but to ensure a beneficial sleep, which is also a basic prerequisite for a productive and enjoyable day! The Diamond Royal Latex Polo Orion Pocket Kapitone is an extra soft mattress that perfectly respects your particular body needs. Includes independent Pocket nested springs with metal frame that follow your body movements, while the interior is fitted with high quality latex and horsehair felt. It is multi-zone, resulting in every sensitive point in your spine offering stability. Its construction has been completed with handmade bindings in Kapitone design for extra reinforcement. 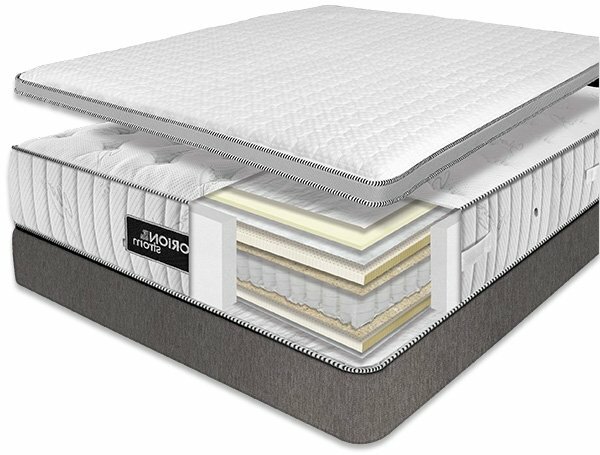 A much harder mattress with excellent exterior texture that offers a high level of stability and support to your body. It includes both coconut and latex in its content that help to form an elastic surface with strong grip and excellent behavior against high temperatures. It has excellent top-of-the-line fabric lining for better skin sensation. The cover is removable to facilitate cleaning.